At my Monday night guild last month, we had a lovely trunk show and class from fellow member Linda Hurd and her husband, Wayne Kollinger. 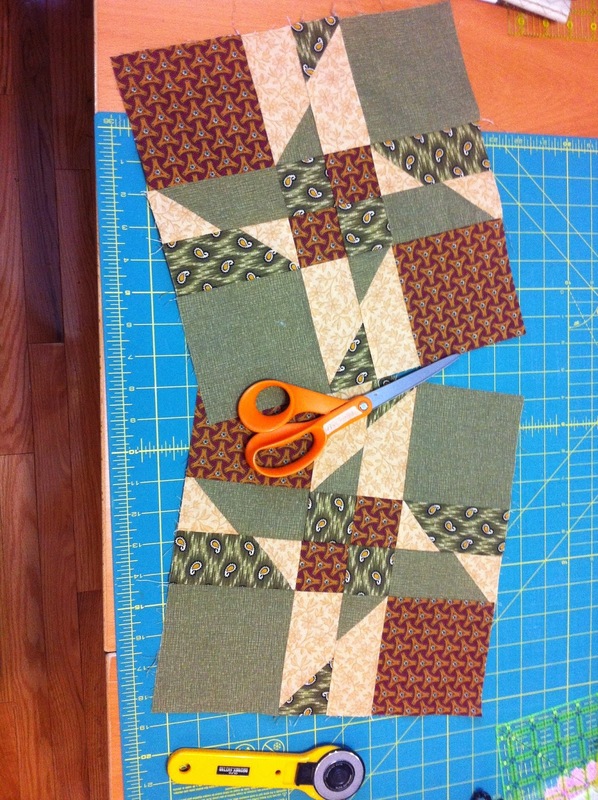 Linda is a lovely lady and accomplished quilter - her machine quilting is amazing! Wayne is a pattern designer (Tuxedo Park Designs) and has been published in magazines and has a few books too. 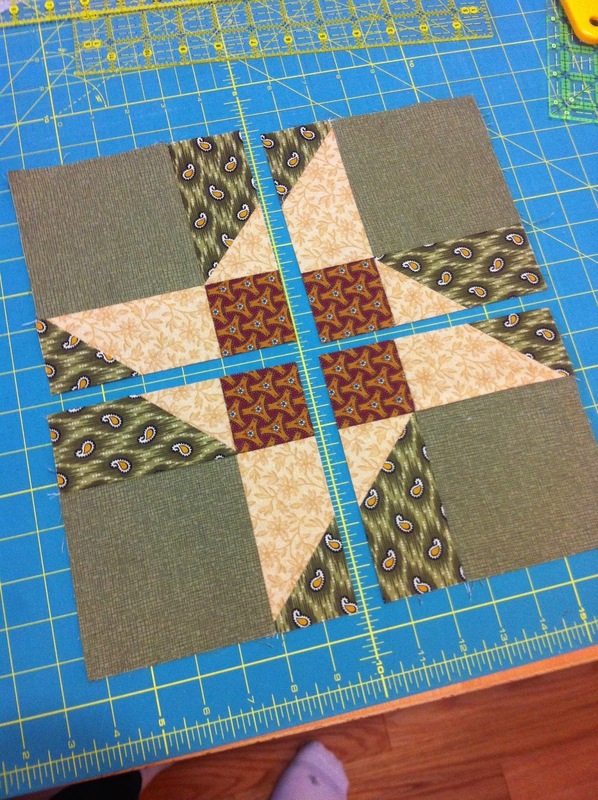 The class was on taking a traditional block (in this case, the friendship star) and cutting it into 4 pieces and reassembling it into something new. The quilt it is based on is here in Wayne's Sketchbook Blog - a lovely blue & yellow quilt. I looked through my stash of fabric and decided on quite a different colour selection - a muted pallet of greens and golds with some brown and red thrown in. 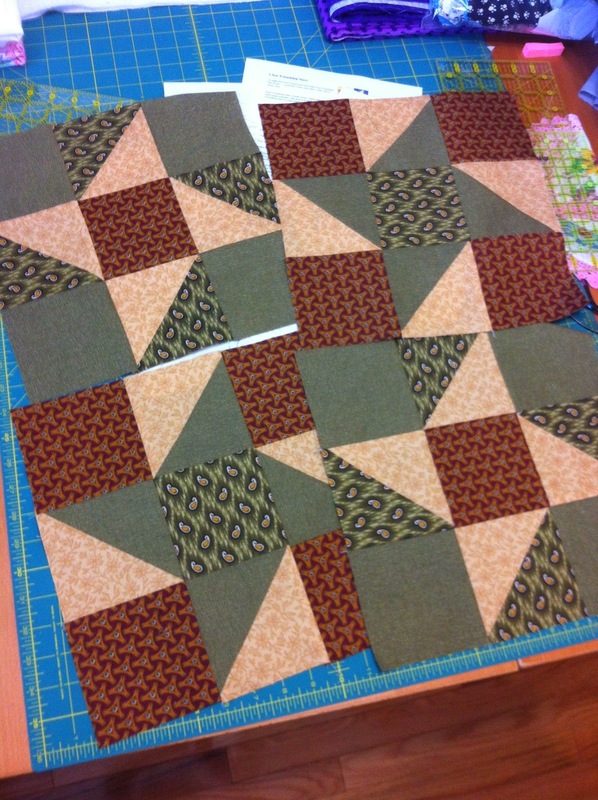 First, the original blocks are made - two with one colourway and two with the same fabrics, just different layout. Wayne & Linda's instructions have details on how to press seams to avoid bulky seams at the end, but you can just press seams open for the same result. Four simple blocks. Now the fun part! Cut each block into four pieces as shown. 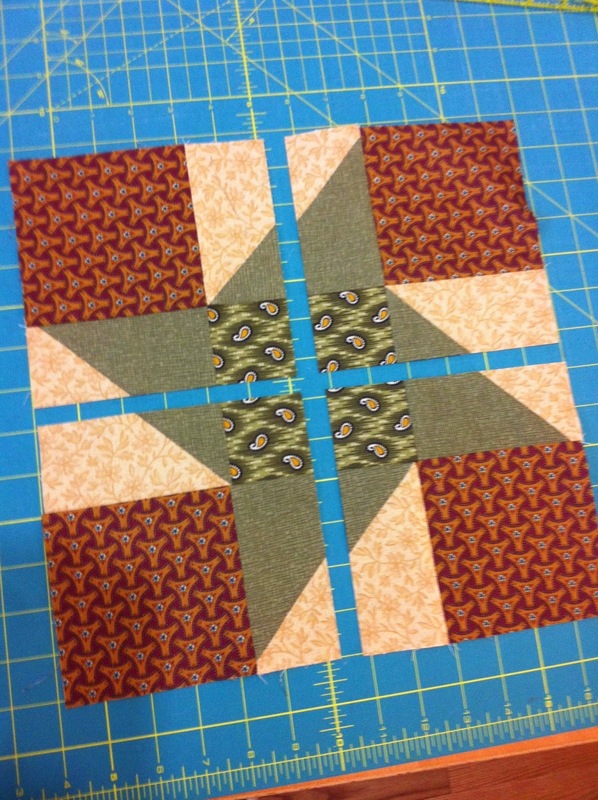 Take 2 pieces from one block and 2 pieces from the other and combine to make a new star block as shown. 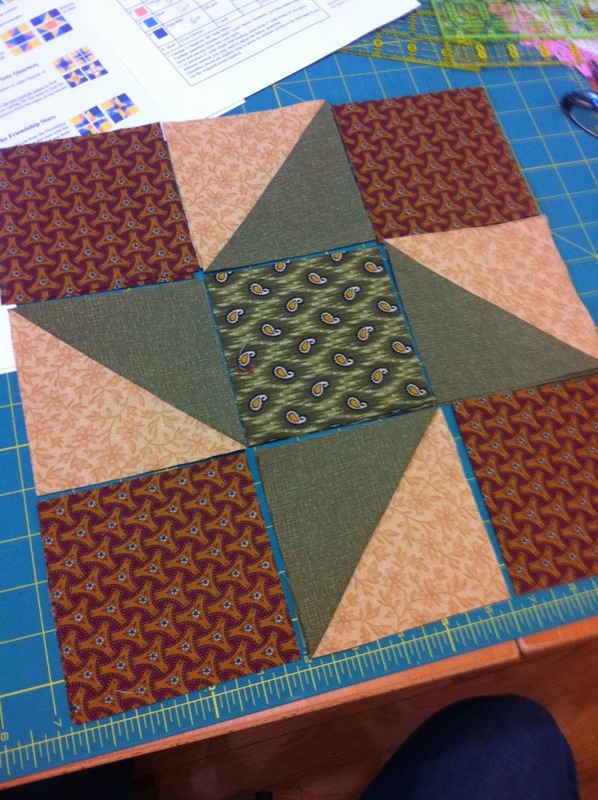 And combine your four new blocks into a quilt top. 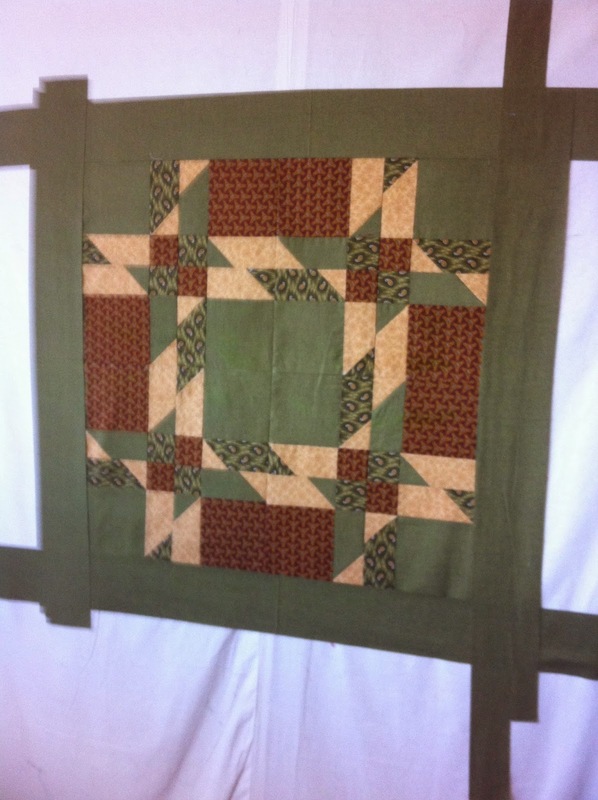 I haven't added borders yet as I think this quilt turned out a little more green than I had imagined it would. 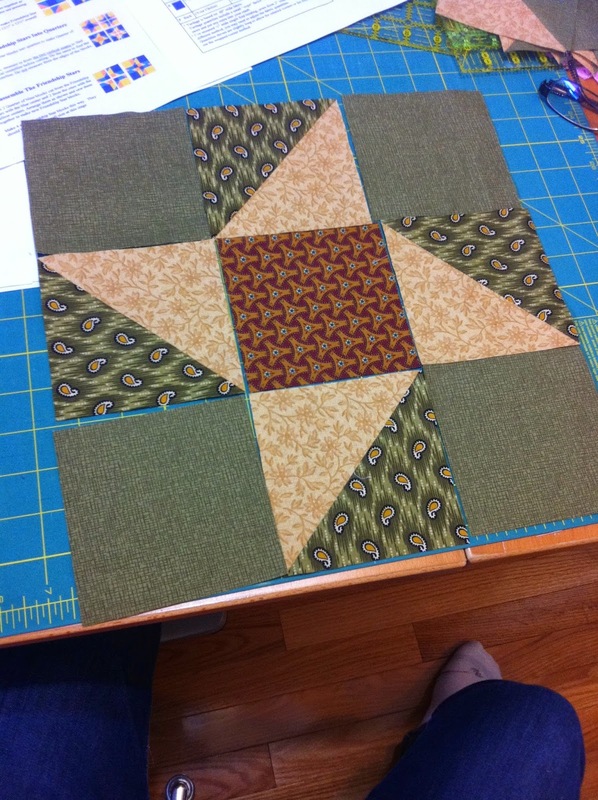 When I have a top that I can't decide how to finish, I just put the assembled blocks and related fabrics aside, come back to it at a later date and finish the top when I know what I want to do with it. Thanks to Linda & Wayne for a great project! Linda & I really enjoyed doing the demo and teaching the class. It's always interesting to see all the different color choices people make. I was really impressed by the level of sewing in the guild. I look forward to seeing how you quilt your version. Blog Anniversary! 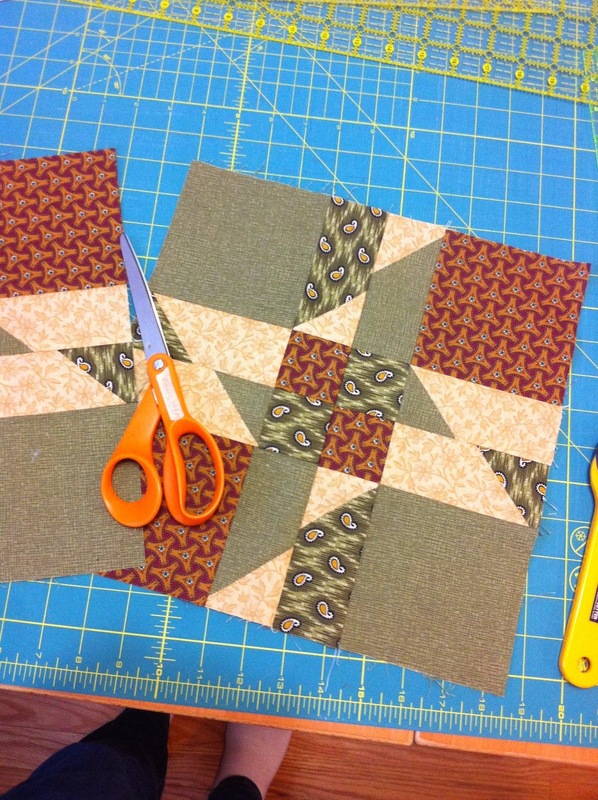 Top 10 quilts to date!